Ellie is awesome! With STEM (Science, Technology, Engineering and Math) taking over the world, it is so important to teach our children that yes, both boys and girls can be in STEM! Ellie is a great role model for our children in a way that will resonate with both boys and girls. 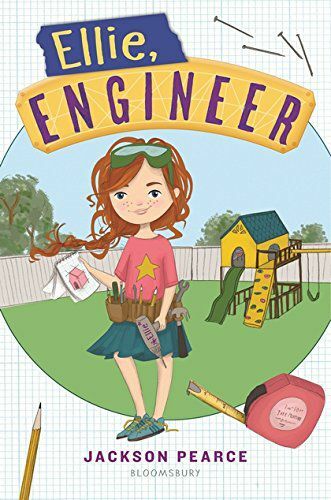 Ellie has her own little workshop, her own little tool belt and her own plans for life. Design plans by Ellie are illustrated throughout the book, giving the reader an insight into what it means to be an engineer. She shares a wonderful friendship with Kit and at the end there is a positive message for our girls. “Ellie, Engineer” is a fresh take on a classic story. I am so pleased to see books with strong girl characters taking center stage.